For your convenience we offer multiple tracks at 2 locations to help people reintegrate into their lives as treatment progresses. We designed a treatment schedule that can meet most client’s needs. Our goal is to help you return to a fully functioning lifestyle, and part of that process is slowly re-integrating “regular” life activities, which may require scheduling changes. We have created a flexible IOP model based upon your family and work scheduling needs. 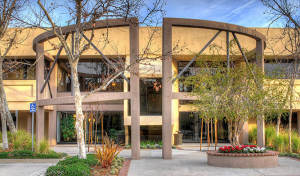 Our mental health IOP and primary substance dependence IOP are located at our Westlake Village location. Our morning IOP schedule tends to have predominantly younger adults (ages 18-30). Our evening IOP, however, is the ideal time for working professionals to come to treatment. Many times, indeed, after a stressful day at work it is difficult to cope or wind down. Therefore, we have an IOP just for that purpose. It’s often very easy to get off work, then go drink or get high. We hope to help professionals learn new ways to unwind, cope, and structure their nights. Our Malibu location, however, offers a more “boutique” and focused approach for people who may not need the intensity of an IOP treatment schedule. We offer in-depth, yet highly specialized, therapeutic services at our location in Malibu, CA.